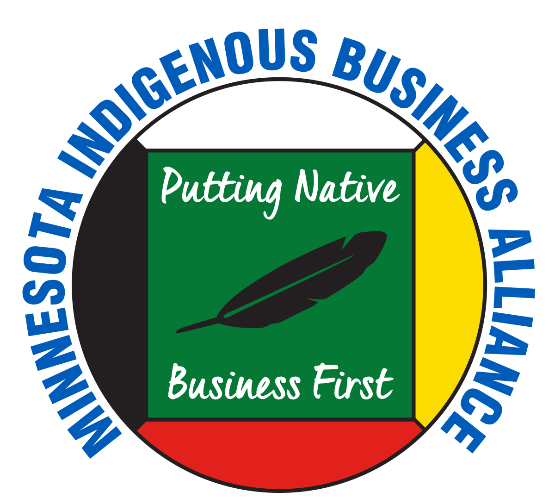 MNIBA's Statewide "Buy Native" Workgroup is made up of individuals with a wide variety of background, knowledge and experience who collaborate to increase marketing, education and procurement for Native businesses, brands, entrepreneurs and artisans. If you would like to be a part of redefining trade routes for the 21st century, join the Buy Native Statewide Workgroup today! Email info@mniba.org for more information. MNIBA wants to begin the conversation of “Buying Native First” in framing the long-tem impact and contribution native trade and commerce has on tribal economic multipliers. Tribal Nations are facing a wide range of challenges as they seek to secure the future for their members, communities, and future generations. In seeking to create sustainable communities economically, socially, and politically, Tribal Nations need to be poised to develop ways to circulate financial resources as frequently as possible within their communities, rather than see the money used at other businesses outside the community. Typically gaming and tribal government are the two main employers in tribal communities. Earnings by employees are not captured and re-circulated within tribal communities and are spent outside the community boundaries. Currently, Tribal communities are much more likely to experience high levels of leakage. This is because, many of the goods and services tribal members need are not available locally and therefore, most citizens travel great distances outside of their communities to make these purchases. Diversifying, supporting and creating new private sectors will slow the leakage that currently exists. Tribal communities have options to consider: they can choose to establish tribal enterprises, attract outside corporations, establish social enterprises, invest and foster the development of individual entrepreneurs, or encourage the development of co-operatives that both function in the marketplace to serve their members’ needs and work together, with clear lines of accountability. Each type of economic activity has its place in a strong economy, with no single type of activity able to meet all of the economic challenges on its own. Why Buy Native First – Why Buy Local? Some leaders are revitalizing their communities by diversifying their local economies. This is where “Buy Native First” plays a significant role in contributing to the health and vitality of the economic landscape. Tribal citizens engaged in trade in commerce contribute the diversity of a strong economy. They improve the quality of life, they broaden the development effort, they support the tribal community, and they strengthen tribal sovereignty. Tribal citizens engaged in trade and commerce impact tribal economic multipliers in the generation of new jobs; forging of new networks and referrals; the emergence of new role models and mentors; they retain local talent; build community wealth; and strengthen the local tax base. They also support other native-owned businesses/enterprises with their purchases. If used wisely, tribal economic multipliers provide Tribal Planners, Economic/Community Development Departments and Tribal Leaders with estimates of employment, gross sales and income that will result from new economic activity. Analyzing leakage and gaps to forecast sustainable native-owned business development opportunities. The most significant step a Tribal Government can make is the adoption of a “Buy Native” resolution that includes supportive and enforceable policies. Most native-owned business operated by tribal citizens is small business. They typically charge a higher rate on services in the start-up phase of their business. Creating supportive policies and set-aside purchases dedicated to native-owned business will build capacity in those organizations and ensure they gain a competitive edge. Tribal Citizen owned businesses are far more likely to reinvest in their local communities versus a large corporation who will take their earnings and invest it elsewhere. Investing in Tribal Citizen owned business ensures a stronger future for the coming generations, and moves these businesses into the local, regional, national and global arenas, which in turn increases tribal economic multipliers. This type of investment and approach will ultimately lead to sustainable economic growth, new jobs, increased self sufficiency/self-reliance and reduced dependence on Tribal Programs. Strengthen the ability to forecast the “ripple effects” of new industry and business expansions. In closing, MNIBA firmly believes that the change we wish to see must begin with ourselves first! MNIBA is challenging our partners and every visitor to this site to make a commitment to Buy Native First for one year! We must each lead by example and send a strong message of support through our purchases.